Might the actors who comprised Lord Chamberlain’s Men have sounded more like Americans from the East Coast? That is the conclusion that Sir Trevor Nunn, former director of the Royal Shakespeare Theater, has come to, after working closely with the actor Kevin Spacey. However, the renowned Shakespeare scholar John Barton, contends that the speech was likely a blend of both English and Irish accents. And some historians complain that the accent isn’t as much of a problem as the pacing, which, they argue, is too slow in modern productions. 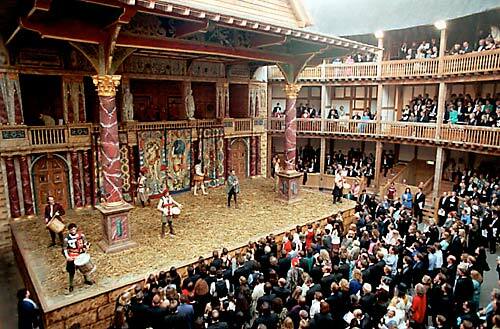 Ben Crystal, a British actor who has long advocated for making Shakespeare accessible, curated the ambitious project. “For the first time in centuries,” he explains, “we have 75 recorded minutes of sonnets, speeches and scenes recorded as we hope Shakespeare heard them. It is, in short, Shakespeare as you’ve never heard him before. “The modern presentation of Shakespeare’s plays and poems in period pronunciation has already attracted a wide following, despite the fact that hardly any recordings have been publicly available,” he said.